Shame is a helluva motivator. We've all felt shame even when we didn't believe we were wrong. It's the fact that EVERYONE ELSE thinks you're wrong. Fix it mode kicks in. Marginalized artists have advocated for Academy change for DECADES. Actual campaigns. Calls voiced FROM THE STAGE. Deaf ears. Clòsed minds. Whether it's shame, true feelings, or being dragged kicking + screaming, just get it done. Because the alternative isn't pretty. 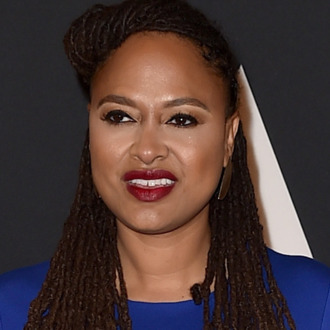 But DuVernay’s latest remarks add to the discussion a more intense sense of urgency, a desire for less waiting and more immediate results that others, including the likes of Steve McQueen and the Academy’s own president, fortunately seem to favor, too. The Selma director also pointed to recent pushback and confusion tied to Academy membership updates as other indications that the decisions were necessary and that the time to effect change was now. “It has to happen with the people who dictate who belongs,” she told the Times. “It’s disconcerting to hear people say that shouldn’t change. That’s the very reason it should.” For more from the Array luncheon, head here, and for the latest #OscarsSoWhite coverage, head here.